VietJet Air is a Vietnamese airline that was founded in 2007. 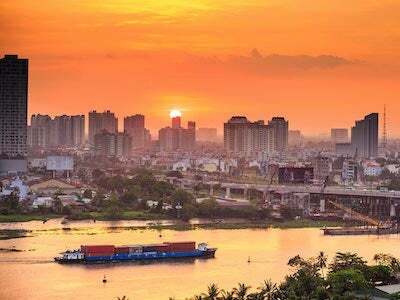 It is based in Ho Chi Minh City, also known as Saigon, in the country's south. 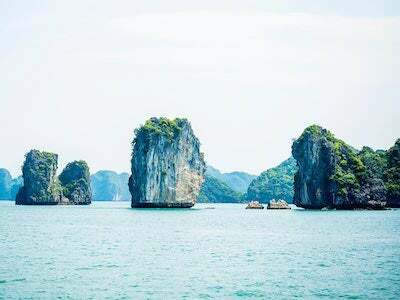 It is a low-cost air carrier with hubs at both Tan Son Nhat International Airport in the city of Ho Chi Minh and Noi Bai International Airport in Hanoi, Vietnam's capital city. It also has smaller operations in Danang in Vietnam, Bangkok in Thailand, Seoul in Korea and Singapore. Although it was founded in 2007 its first flight was not until 2011 when it flew between Ho Chi Minh City and Hanoi. Its first international flight however was only in 2013 to Bangkok. This flight made it the first privately owned Vietnamese airline to travel internationally. In all, its fleet numbers 40 aircraft manufactured by Airbus. Aside from its hubs and focus cities, Kuala Lumpur, Nha Trang and Taipei are some of its more popular destinations. The airline serves more than 30 airports in total. Online check-in is available on some VietJet Air flights, specifically those leaving from Ho Chi Minh City, Hanoi or Da Nang. Passengers can check in online or via mobile for flights departing from those airports as long as they do not require any special assistance and are not travelling with children younger than 2 between 24 hours and 1 hour before their flight is due for take-off. If passengers wish to check in at the airport, they can do so at the company's check-in counters. These counters are open until 50 minutes before the departure of an international flight or 40 minutes before the departure of a domestic flight. Passengers are allowed 2 pieces of hand luggage on their VietJet Air flight, as long as the combined weight of these 2 items is no more than 7 kg. The first item can be up to 56 x 36 x 23 cm in size while the second should be a smaller personal item such as a laptop case, handbag or briefcase. All hand luggage must be able to fit either underneath the airplane's seats or in the overhead storage provided. The airline will refuse to carry any hand luggage that does not adhere to these regulations. Musical instruments can also be carried in the cabin subject to additional fees being paid. Checked baggage is not included in the ticket price on a VietJet Air flight. Instead, passengers must pay extra if they wish to add a checked luggage allowance to their booking. Passengers can add 15 kg of checked luggage to their booking. This can then be increased in increments of 5 kg. Items of checked luggage can weigh up to 32 kg and be up to 119 x 119 x 81 cm in size. Above these limits, the airline will refuse to carry them. Baby strollers, wheelchairs and other mobility devices will be carried at no cost to the passenger. Late departure on both occasions. Chinese passengers talked at the top of their voices all through safety demonstration and most of flight. Airline staff onboard done nothing to shut them up. Easy to book, flights on perfect timing. All excellent!